Long before Giphy existed, Tumblr was a home for our animated treasures. Now, the blogging platform is making it easier for us to comb through its vast collection of GIFs and add them to our posts than ever before, with the rollout of its very own GIF search engine. 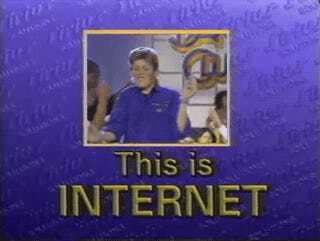 GIFs that have been posted to Tumblr are now indexed, cataloged and identified through a native search algorithm. When a user selects a GIF to post, Tumblr gives it an automatic attribution and notifies the original creator. 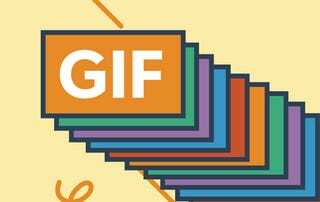 Among all form of internet communication, GIFs are notorious for being passed along without proper attribution (admittedly, this is often because the GIF itself is a rip off someone else’s content). The new feature clearly won’t solve the GIF attribution issue entirely, but hey, at least Tumblr’s trying. Tumblr is home of the GIF and reaction GIFs were invented on Tumblr. We drummed this idea up when we built the new text editor, which we launched in January. We wanted to give Tumblr users the ability to post great content, and Tumblr itself if full of incredible content from our passionate community. GIF Search became a no brainer. A great byproduct of this new feature is that it will create more interaction with artists through fixed GIF credits. Of course, the subtext here is that Tumblr would like to keep users within the site’s digital walls, rather than turning them over to Giphy or Google when they’re in need of the perfect GIF. But convenient as the new search feature is, it’s not going to be anything disruptive. Tumblr always was, and will continue to be, a place we can expect to find troves of ever-looping masterpieces. Facebook finally welcoming GIFs, now that’s another can of worms entirely.